Cloth Diaper Revival: New prints and color from SoftBums! New prints and color from SoftBums! One of my favorite diaper companies released THREE new diapers today! 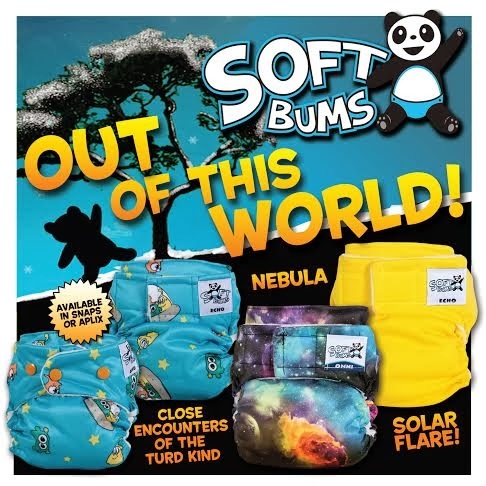 SoftBums went "out of this world" to bring you two new prints and a new color! Close Encounters of the Turd Kind (what a clever name!) is available in both snaps and aplix and it's the perfect addition to the Blue and Yellow Alien prints from before! Nebula will be a big hit among WAHM fans! This type of print has been around for a while in the WAHM scene, but now you can find it at your favorite retailer! Solar Flare is so warm and sunny! It's the perfect diaper to get you through the rest of the winter as you long for the temperatures to rise! So what do you think of these new additions? You can find them at your favorite retailer. Kelly's Closet should have them in stock the middle of next week (don't forget your free diaper coupon code)! P.S. 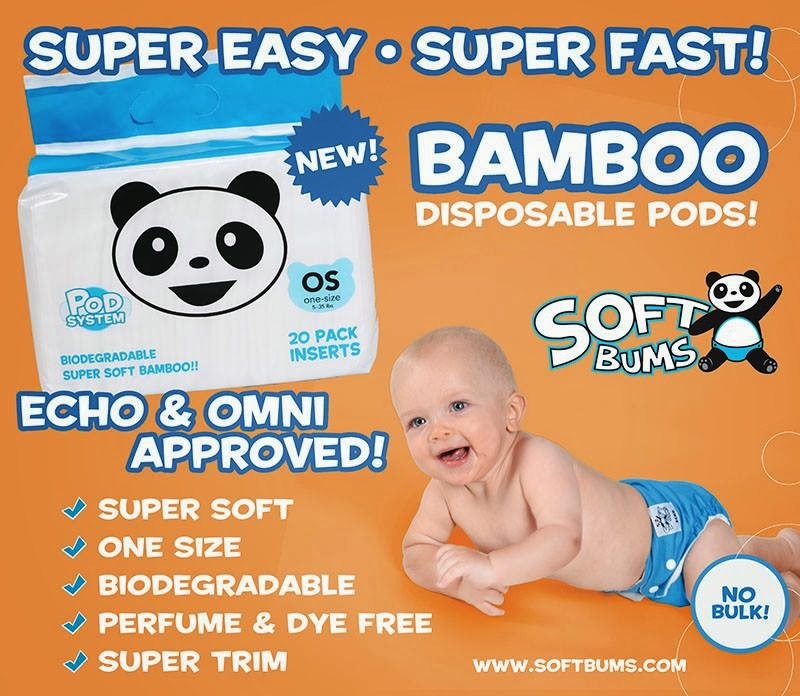 did you hear about SoftBums new disposable inserts too! Exciting!